At some levels, becoming a father is one of the easiest things that a man can do: a happy ending that leads to a new beginning. Bottom line, no baby can be born without a male having contributed his gametes to the process. But surely that is far short of what might be considered reasonable to justify calling a man a father. His DNA may be necessary, but that is much less than half the story. In times past - and sadly still - men have been rightly criticised for simply not being there for their children. Sure, modern lives and men in the workplace for long hours can keep him away from his kids. But sometimes this is just an excuse - as is the need to be away socialising with his mates. In this instance, he needs to step it up to earn the moniker of Dad. On the other hand, nature can play a bit of a prank on the man as paternity is far less evident than maternity. Now of course, there may not be many cases where a woman cuckolds the man - be it knowingly or unknowingly - but it can happen. Paternal discrepancy is when the man who most think of as the father is not. It happens at a rate of about 4% in case you're wondering. That is, one in 25 kids are fathered by someone other than the person they believe to be their father. So we probably should allow that in some dark recess of the father's head, there may be a little question about whether he really is the father. But that doesn't let him off the hook. 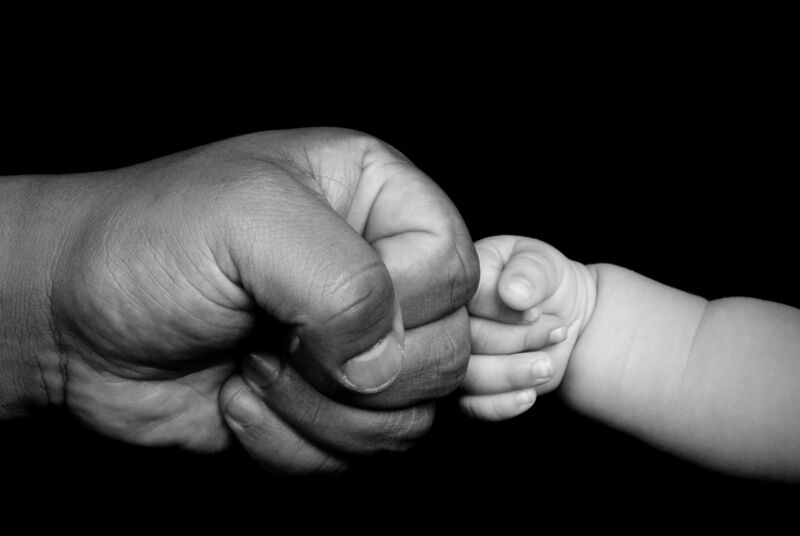 The second half of fathering is being there for the child(ren). So, does DNA testing solve the problem? Not really. It simply reveals the many different hues of fathering. Just as a man may provide his sperm but not his commitment, so another man may provide his commitment and not his DNA. To reflect the independence of the physical and emotional dimensions, here are various versions of Dad that I personally know. A woman who referred to her mostly absent father as her "bio-dad" to distinguish him from the man who her mother married and who was the man she identified as Dad. A man who raises two boys. The teenager is not his biological son, and does not know his bio-dad at all. The second, an infant, is his biological son. The man - now separated from the one mother of the two boys - remains Dad to both. A man who fathered and raised a child with the mother until she left him to join another man. She decided that the new man would be Dad. The bio-dad is denied a father title and is known to his daughter by his first name. A man and a woman who produced two children, who now are separated and each repartnered. The children spend their time in two different households with a mum and dad in one and another mum and dad in another. So, there are at least two entirely detached dimensions to fathering. One is physical, the other is emotional. It is perhaps understandable then, that the legal version of what constitutes a father is not always very clear cut. An article in the New York Times highlights the court's difficulties as it negotiates the economic and emotional consequences when a man finds he is not the biological father. There are consequences of revealing the biological father as debated in the issue of enforced DNA testing. It could reveal a mother's mistake or indiscretion, it could deprive a child of a father-like figure (even if not the biological father) and it could shatter the putative father's world. However, given the importance of the father's emotional involvement, the legal system must also allow for the importance of young children to spend time with the father post-separation. The fathering role is critical - both the physical and the emotional versions. So what's a father to do? Probably just the same as he has done for millennia: the best he can given the circumstances.